Greg and Pam take us on an invasive bryozoan hunting adventure beneath the bridge. Clay, boulder piles and the footings for the bridge supports all created nice habitat for critters (and invasive bryozoans - Watersipora subtorquata). This is an extremely high current area, but we dove it on slack, so we had no current to speak of. 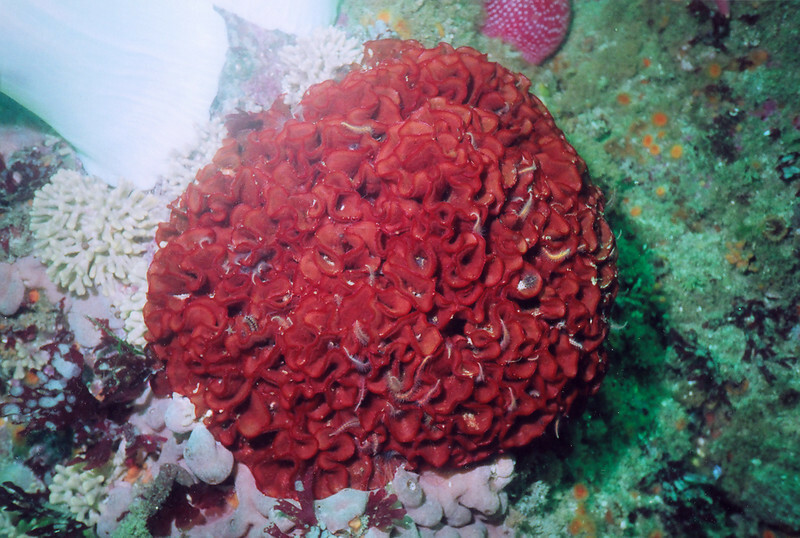 Colony of Watersipora that I found at Aumentos dive site in the Monterey Bay National Marine Sanctuary.